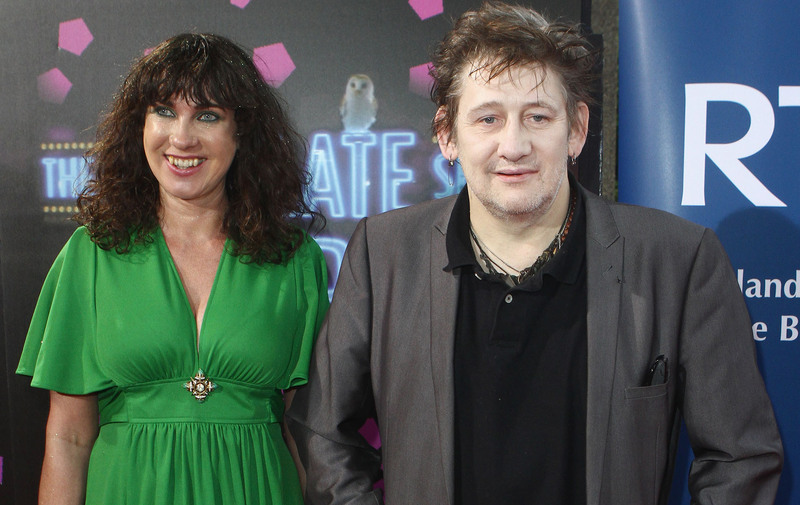 The Pogues star Shane MacGowan has married his girlfriend of 32 years. The musician married long-term partner, Victoria Mary Clarke, yesterday in a ceremony in Copenhagen, Denmark. The 60-year-old singer, best known for the classic Christmas song Fairytale of New York sung with Kirsty McColl, met his journalist wife, now 52, when she was 16-years-old. The couple got together four years later, before eventually getting engaged 11 years ago. They finally tied the knot in a low-key ceremony in the Danish capital surrounded by family and friends, including Hollywood legend Johnny Depp. The actor has been a close friend of Shane’s for the last few decades, and reportedly played guitar for the couple on their big day. Victoria, who has built a successful career as a journalist and broadcaster, skipped out on the traditional white dress bridal look and opted for a striking orange gown with a dainty floral headband and a matching bouquet. Her new husband went for a blue suit and trilby hat and attended his nuptials in a wheelchair, which he has used for the last few years after damaging his back in a bad fall. Speaking ahead of the couple’s big day, Victoria told the Irish Independent: ‘Shane and I are both introverts and we decided that the only solution was to just elope together to someplace that we know nobody and nobody knows us, and keep it a secret. Big congratulations to the very happy couple!